Did your ancestors originate from England, but you lived in New York your whole life. Did they come from places around the world that you’ve never seen, and may never get to visit? 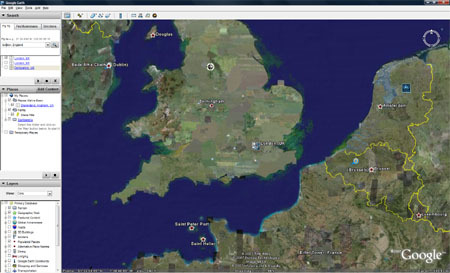 Now you can visit the places where your ancestors came from by using a free tool called Google Earth. 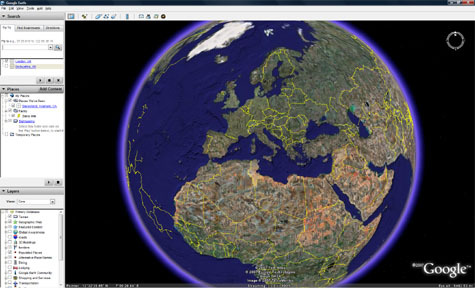 Google Earth provides an image of the globe and you can use the program to “zoom in” to street level in many countries. You’ll be viewing satellite images taken recently of the locals, but nevertheless, you’ll be able to see the areas from which your ancestors came from. Simply visit http://earth.google.com and download the free program. Once you’ve installed the program, start entering places in the “search” box. Your ancestors perhaps came from Russia, Africa, New Zealand, or a host of other places. You may even be able to see the streets where your ancestors lived if you have the location. So, if you’re ancestors came from London, England, type “London, England” in the search box. 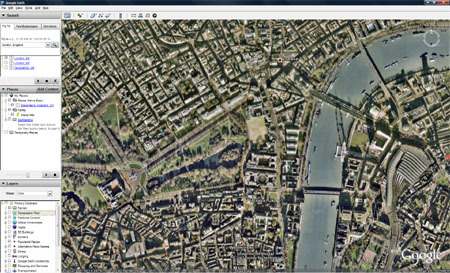 Google Earth will “fly” you over to London. Take a look at where the city is located in the country you’re visiting. Is it by the seashore, far inland, or in the mountains. Does the location look green, or dry and brown? The images really do tell stories about the places if you stop to notice. You’ll be able to see finer details and finally buildings and streets in the city as you zoom further in (simply double-click to zoom in further). Look for landmarks as well (checkout Buckingham Palace below). You can also view descriptions and pictures of many places that people have posted by clicking the “Geographic Web” option in the lower left-hand corner. You can save locations by using the little icon that looks like a pin at the top of the map image. Print the page or take a screen clipping and insert the image into the history or personal folder you’ve created for your ancestor. There are many ways to share what you’ve marked as well, but for now, have fun exploring! You may also want to check out what you can do on Google Maps to trace your ancestry. You’ll now be able to see if your ancestors came from the city, rural areas, the mountains, the plains, or islands. No more will places on the records you’re researching just be names. Go visit them! Of course, you’ll be seeing the modern-day version of the cities and places, but some places haven’t changed too much in the past 100 years. You might be surprised. Take those names of places off those old records and go visit them without the airplane ticket.